2014 has proven to be a very busy year for us at Coseppi but I am happy to share the good news that our hard work is paying off. We should be moving in to our new and completely renovated house later this month and my work as the Executive Director of Farmshare Austin is keeping me busy this summer with a major fundraising push. 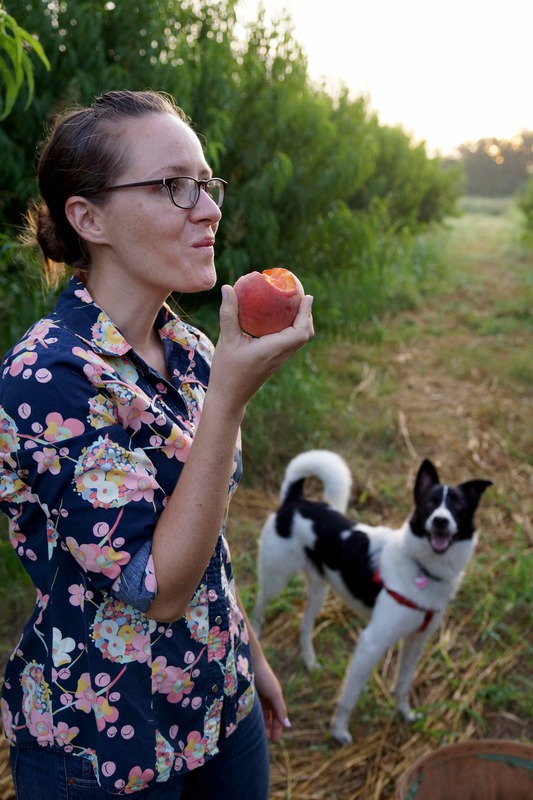 Farmshare is a new 501c3 dedicated to helping new organic vegetable growers succeed in this challenging field. This year we have secured a location for the educational farm, hired a wonderful farm manager and lead instructor to develop the program, and opened the application process for our first class of students. In the next few months we will be working very hard to raise the remaining capital needed to build a classroom, furnish student housing, and provide scholarships. Friday, July 18th we will be be hosing a Farm Raiser at the Getaway Motor Club where we will launch this summer’s Indiegogo campaign. 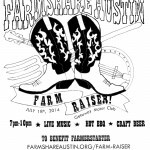 The Farm Raiser is going to be an eclectic community party including music by the Barn Owls, a pig roast provided by Moontower Coop’s Tony Grasso, and refreshments from Rogness Brewery, Wunder-Pilz, and Nile Valley Herbs. 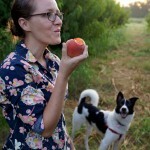 Tickets are $30 and can be purchase at www.farmshareaustin.org/farm-raiser. 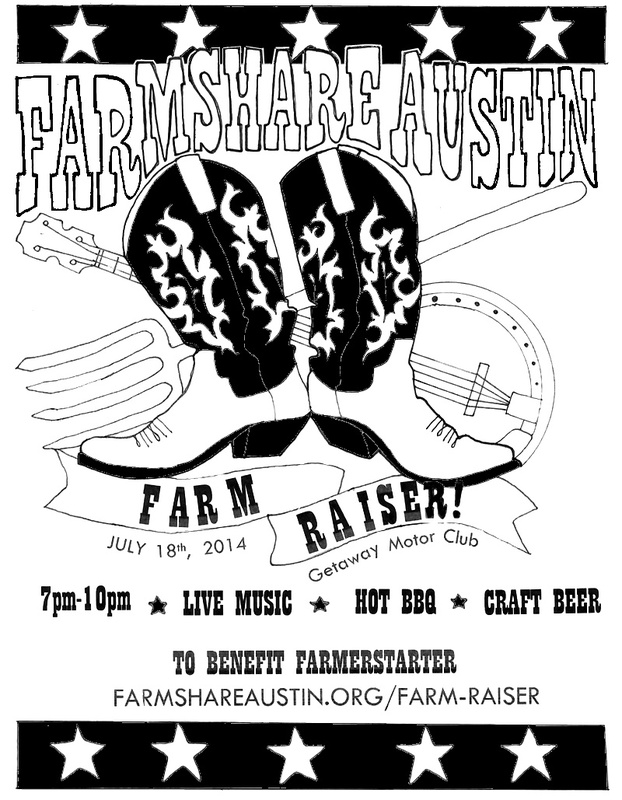 Anyone interested in volunteering or discounted press tickets should email me at info@farmshareaustin.org. 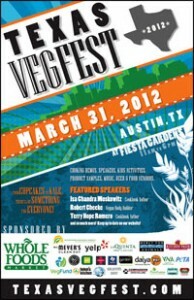 Saturday March 30, 2012 we will be volunteering at Texas VegFest at Fiesta Gardens from 11:00 AM to 6:00 PM. The event promotes and celebrates plant-based diets for a healthier future and features more than 100 vendors, activities, and great local bands and speakers including one of my favorites, Michael Greger, MD of www.NutritionFacts.org. There is a recommended donation of $5. Sunday March 31, 2012 we strongly encourage you to checkout the JBG Spring Potluck and Open House. The potluck runs from 4:00 PM to 7:00 PM and is a great chance to take your friends and family out to the farm and enjoy and share some great food. Free of charge, BYOB, and bring a dish to share. We will be preparing one of our favorite recipes from The Authentic Peruvian Vegetarian Cookbook for everyone and the farm will be providing free heirloom tomato transplants for all in attendance!